This cool truck has a big job: delivering four colorful cars to their new homes. Its upper level lowers to let the cars drive on, then lifts smoothly to hold two of the cars when it's time to roll out. A best seller in our shop for many years. 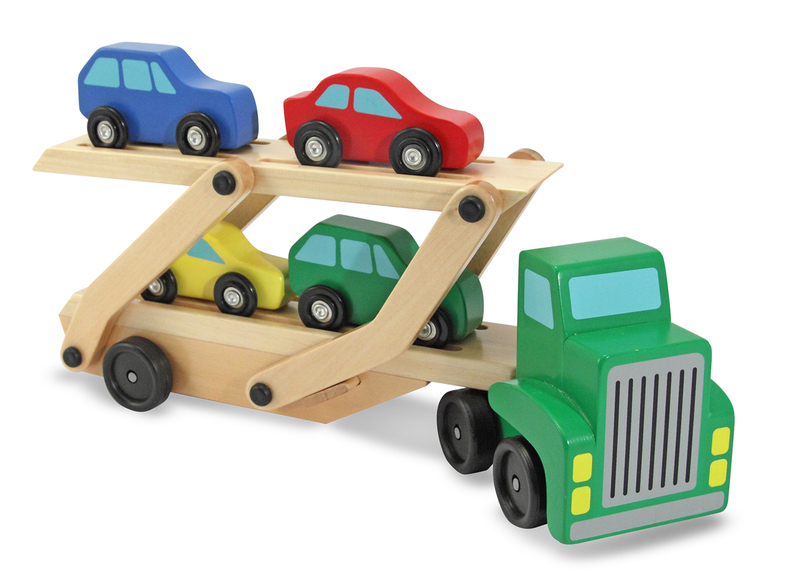 Huge selection of wooden vehicles in our Leeds toy shop.